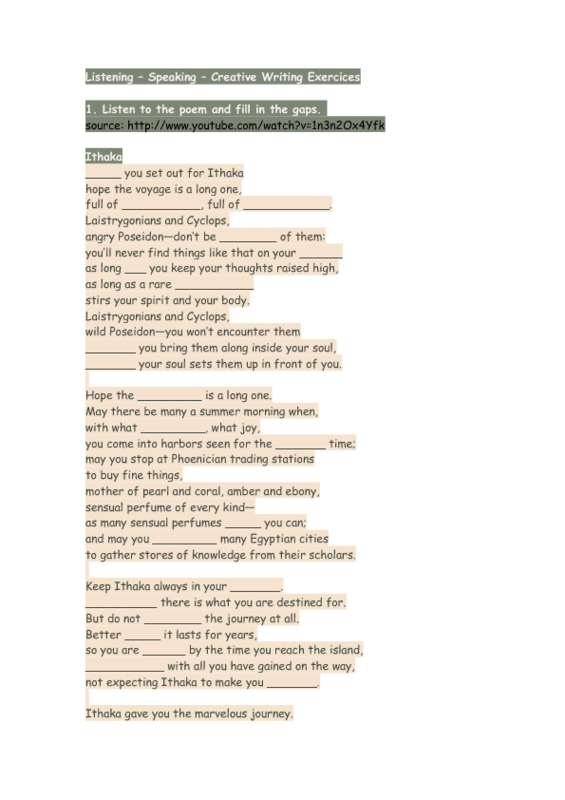 This worksheet can be used for a listening activity based on the poem Ithaka by Cavafis. It includes a gap-filling activity and reading comprehension questions, after which you could engage students in creative writing. 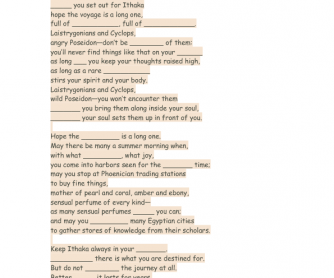 The specific poem has plenty of adjectives, as to the vocabulary. It depends on you to choose which words you'd like to focus on. It also gives you the opportunity to revise the 1st Conditional, the Future Simple, expressions not followed by 'will' and possibly some Modal Verbs.